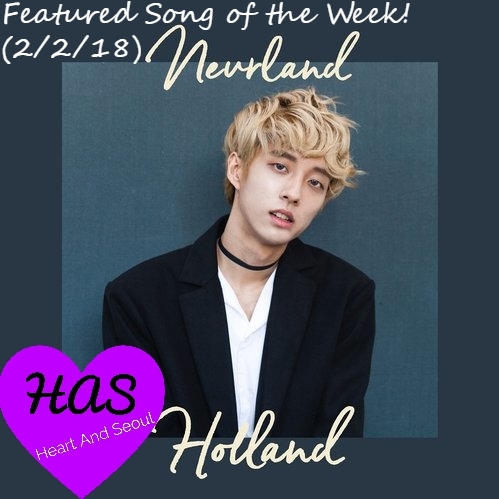 Starting themed Featured Song of the Weeks for the month is a new release I'm loving a lot! This guy... this guy is so cool to me. First openly gay Kpop idol in history. And the music video couldn't be any cuter!! I'm going to go ahead and let you know that I'm on board for letting people love whoever they want to love. More power to you, babies. To treat someone horribly because their views are different from yours... I can't do it. So this was a big win in my case. Cute song, cute video, cute dudes... What else could I have asked for? Right? I applaud his courage and bravery for even releasing this music video. There needs to be more people like this in the world.